Hi, I’m Victoria. I am a fan of most things Science Fiction and all things Whovian. 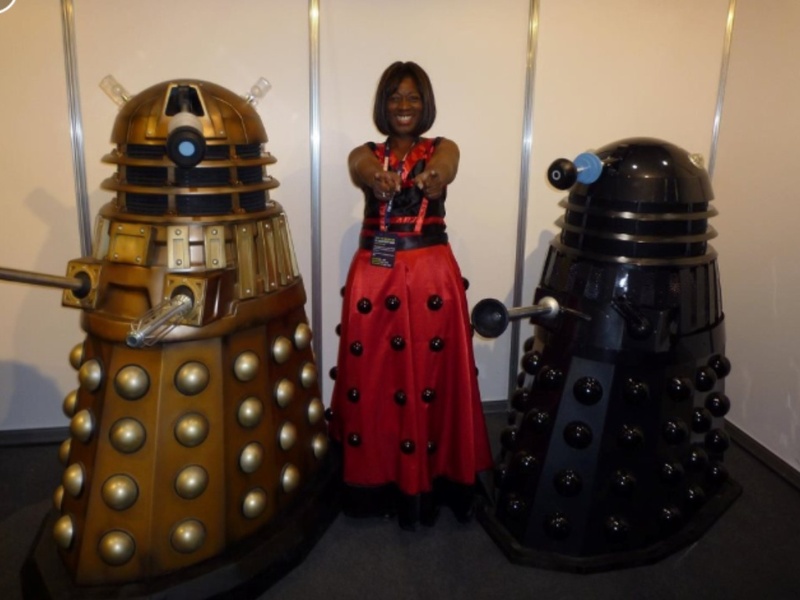 I love fancy dress and was inspired to get my first sewing machine in March 2014, after a boss helped me to sew a Dalek dress that I saw on online for the 50th anniversary of Doctor Who. I like clothes, but rarely see things that I like. I like 1960s fashion and v-necks. In 2014 I challenged myself not to shop in supermarkets for 12 months. In 2015 I challenged myself to sew an item of clothing each month. For practical reasons it wasn’t all Who inspired. This blog will chronicle my growing skills in sewing as I move towards sewing and wearing all of the clothes I lust after. I am excited to be embarking on this journey and joining a growing community of sewists.